In this podcast I will be discussing the Jeff Havard case with advocate Lori Howard. 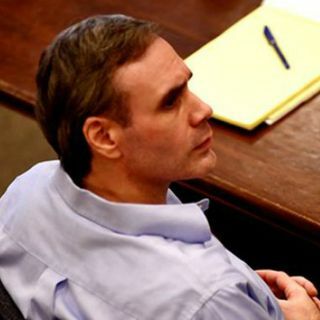 In 2002, Jeff Havard was convicted and sentenced to death in the state of Mississippi for the sexual assault and murder of his girlfriend’s 6-month-old daughter, Chloe Britt. Jeff has stated from the beginning that the infant slipped from is arms while lifting her from the tub after giving her a bath, causing her head to hit a nearby toilet. There is no evidence whatsoever to support a sexual assault charge. ... See More In fact, multiple experts now support Jeff’s claim that Chloe’s death was a tragic accident. In May of 2016, the Mississippi Supreme Court ordered an evidentiary hearing for Jeff’s case based on defense claims of new evidence due to changes in the science behind Shaken Baby Syndrome. After nearly 15 years of incarceration on death row, Jeff finally had the opportunity to return to the courtroom of Adams County Circuit Court Judge Forrest Johnson, with renewed hope that the truth would finally be heard. Judge Johnson presided over Jeff’s trial in 2002. The trial was speedy to say the least. Within a matter of two days, the court selected a jury, tried the case, received the jury’s verdict, and sentenced Jeff to death. It took all of two days to send Jeff Havard to death row. Tune in to this podcast to hear the details of Judge Johnson’s ruling that recently took Jeff Havard off death row, while leaving many unanswered questions about Jeff’s future. You both did a great job. So thankful for the both of you making this happen. I want to share this in text,but I cannot find a way to do so.